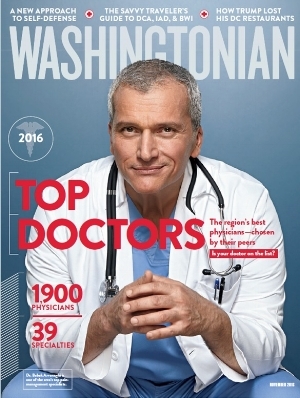 Congratulations to the 2016 Washingtonian Top Doctors including our very own Dr. James Barter, Dr. Albert Steren, Dr. Diane Snyder, and Dr. Ebony Hoskins! We are humbled to be recognized with so many talented colleagues. Thank you to all of our patients and fellow physicians for your continued support!